With the sunshine finally making an appearance and the last remnants of snow gone, we can start to look forward to spring festivities. 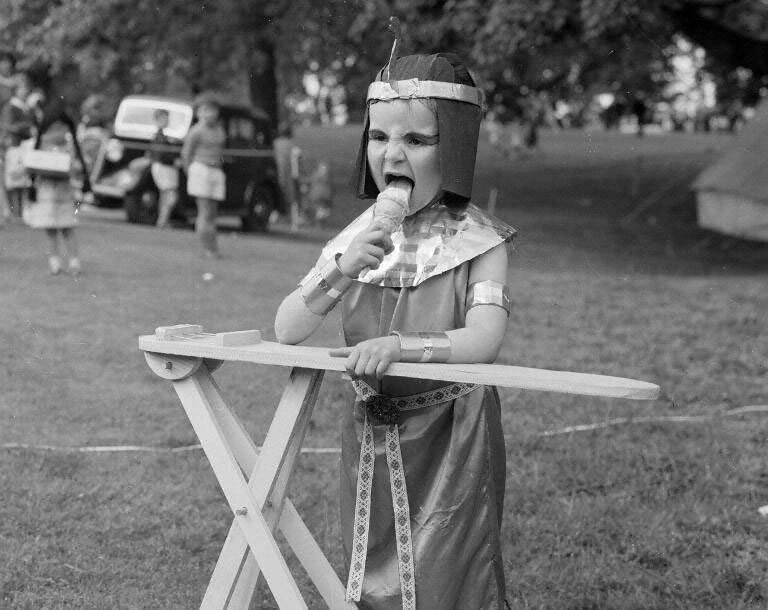 There is a celebration held the length and breadth of Scotland that requires bunting all over the community, house decoration, floats and parades heading along the main street, brass bands, fancy dress, sports, the annual coronation ceremony and of course the ice cream. To coincide with the major programme of events for the Year of Young People 2018, it seemed appropriate to highlight a social history tradition where young people take centre stage and a community event that brings young and old together. For communities across Scotland, one of the highlights of the year is the annual ‘Gala day’, where a Queen and, sometimes, a King are crowned. From the old coal mining communities of Midlothian to the oil shale towns and villages of West Lothian, to coastal fishing communities, a royal coronation ceremony is the norm. This includes communities such as Loanhead, with the longest-running children’s gala in Midlothian, first held in July 1923, and Cellardyke, where the Sea Queen festival was recently resurrected seventy years after it was first held. Local council websites will soon begin to announce the dates of the local gala day events and you can find UK-wide festivals on websites such as Calendar Customs. Local newspapers and social media entries by Gala Committee groups are also worth exploring to find up to date information regarding your local gala. But what about researching galas of the past? National Museums Scotland has for many years collected photographs, three-dimensional objects, ephemera and oral history recordings that relate in some part to the ‘Gala day’. Here I wish to highlight some useful resources that may help for local history and genealogical research. National Museums Scotland’s Scottish Life Archive (SLA) collects, records and preserves documentary and illustrative evidence of Scotland’s material culture and social history. Bookmark commemorating Dunfermline Children’s Gala Day, 1985. From the Scottish Life Archive, W.MS.2003.98. 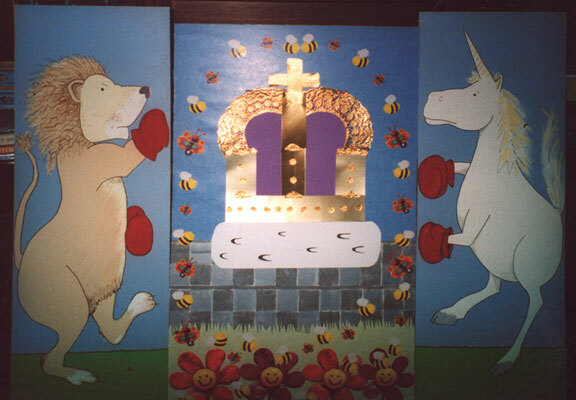 Painted hardboard panel, made to decorate the late Jenny Milligan’s house by her daughter, Jennifer Bastin, for the Shotts Gala Day, 2004. From the from the collections of the Department of Scottish History and Archaeology, SH.2005.62.1-6. 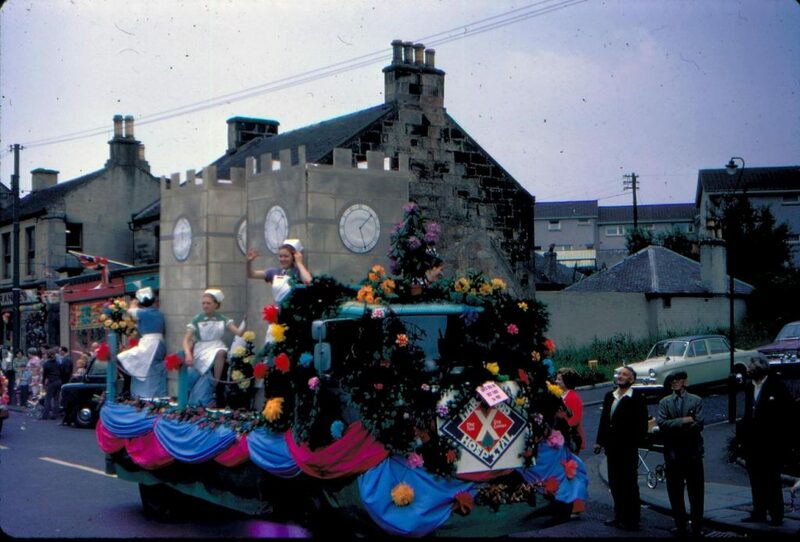 One of a series of colour transparencies taken at Shotts Gala, Lanarkshire in 1971. From the Scottish Life Archive, SLA.S.24618. 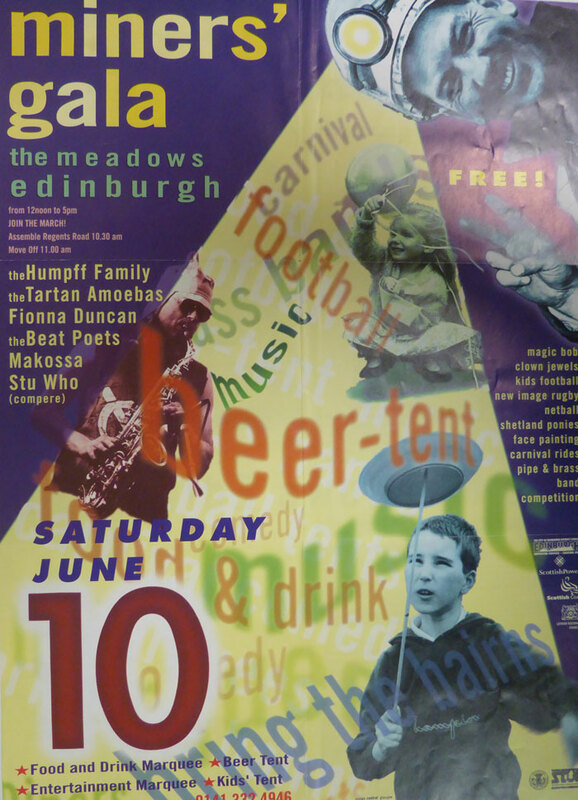 Poster advertising the Miners’ Gala, in the Meadows on Saturday 10 June 1995. From the Scottish Life Archive, W.MS.1995.14.5. The Research Library has books, pamphlets and journals relating to all areas of Scotland, and some specifically relating to local traditions. There are a great number of Scottish local festivals that capture national and international attention discussed in a book held in the library collection, F Marian McNeill’s The Silver Bough Vol.4: The Local Festivals of Scotland. The Common Riding and Riding of the Marches, Fisherman’s Walks, The Burryman of South Queensferry and Beltane fire festivals are well known, but all these do not children at their centre. However, McNeill also mentions Eyemouth’s Festival of the Herring Queen, which is held each year on the third Saturday in July. 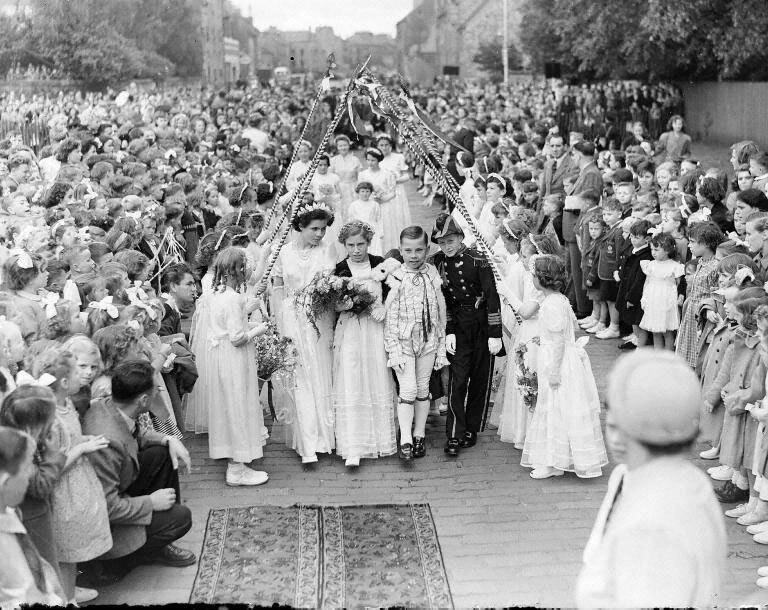 This is one of the Summer Queen Ceremonies where schoolchildren take centre stage. In Eyemouth, the Queen is a 3rd year secondary school pupil. Newtongrange Children’s Gala has a Queen and King from Primary 7 of the local school and much of the court are from Primary 3. For the P7s of Newtongrange and Cockenzie/Port Seton the Gala seems something of a ‘rite of passage’ to end your Primary school years. I have lived in Newtongrange or “Nitten”, for over 10 years now and cherish the annual gala day. To see the children and the facades of the old mining cottages dressed up is always pretty special. 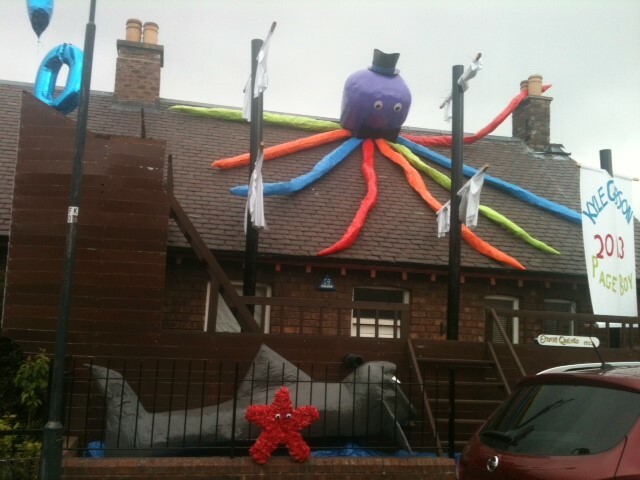 Decorated cottage in Newtongrange for the 2013 centenary gala. © Mary Anderson. Although the ceremonial arches may no longer be as outstanding as this effort in 1909! 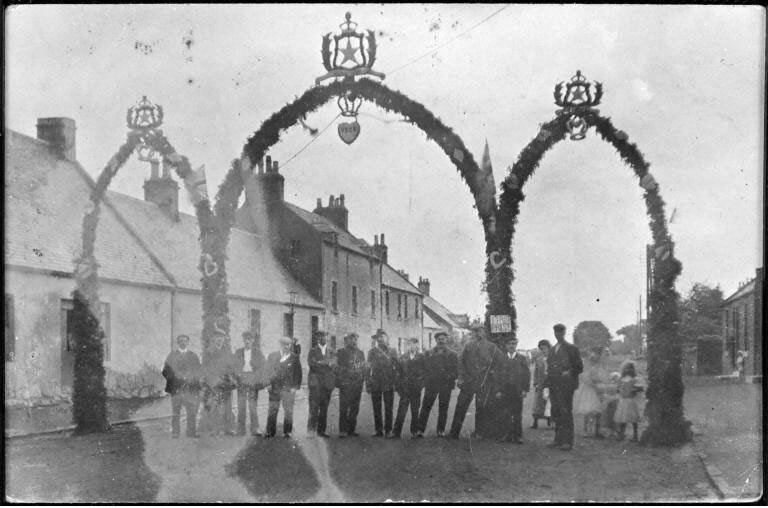 A prize-winning arch on the main street of Armadale during the Gala Day, West Lothian, 1909. From the Scottish Life Archive. In the early years of the Gala Day, the miners constructed huge arches to span the roads in front of the homes of the Queen and her Chief Lady. In following years, various miners who lived in different parts of the town would then compete with each other to build bigger and better arches outside their particular street. The practice of building the large green and boxwood arches has now all but died away. Programme for Armadale Children’s Gala Day, Saturday 17th June 1989. From the Scottish Life Archive, W.MS.2001.20. 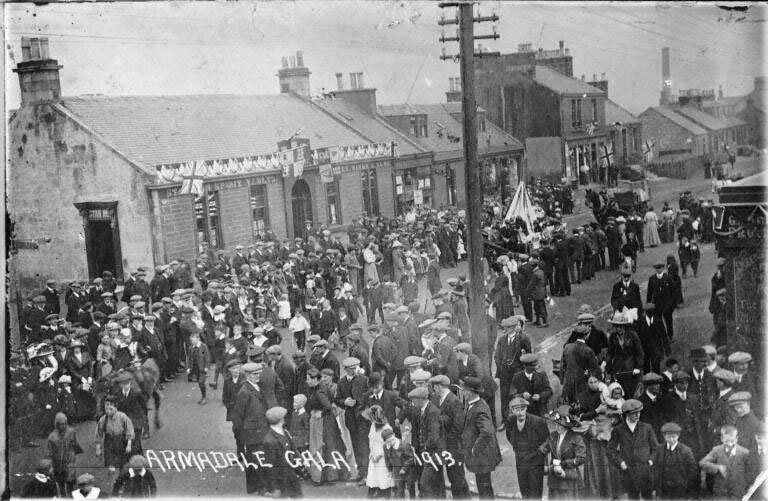 Crowds line the street to watch the procession during Armadale Gala Day, West Lothian, 1913. The Star Inn and other buildings along the procession route are flying flags and bunting for the occasion. The procession, involving local schoolchildren, consisted of miners’ horses and ponies and a series of decorated carts. Scottish Life Archive. Friendly societies played a major part in organising and funding the events. This film in the National Library collection shows footage from Wishaw Co-op Gala Day in 1909. However, regardless of whether the day is financially supported by industry, co-operative, public house societies or local government, the stalwarts serving on a gala committee are the real motivators behind the event. The big day mostly falls on a Saturday, but the fundraising, meetings, rehearsal, run up events and installation of easily recognisable things such as bunting takes a great deal of preparation. The one thing no committee can control is the weather and the last thing anyone wants is to cancel the gala. Gala day material including photographs, film footage, oral testimony and objects are not only useful for tracing family history. They can record buildings, businesses, public spaces and traditions that have long since disappeared. Local newspapers and social media entries by Gala Committee groups are worth exploring to find up to date information regarding your local gala. Other institutions have very useful gala related collections. The National Library of Scotland’s Moving Image Archive has historic footage from events all over Scotland, such as this scene at Lochgelly’s Gala Day on 25 June 1938, and many can be accessed from home. SCRAN is an online learning service of the charity Historic Environment Scotland. It contains over 500,000 images and media from museums, galleries, and archives, including the Scottish Life Archive. It aims to advance public education by enabling access to Scotland’s culture, heritage and related material and has gala related material relating to a huge number of communities in Scotland. West Lothian Council Local History Library has an extensive collection of items in the old County Buildings relating to the many gala days held in the area and has a great Flickr site. Edinburgh City Libraries have two electronic collections that capture the community galas: Edinburgh City Libraries Capital collections and Edinburgh Collected. Museums & Galleries Edinburgh held a recent exhibition about the Leith Gala in The People’s Story Museum. 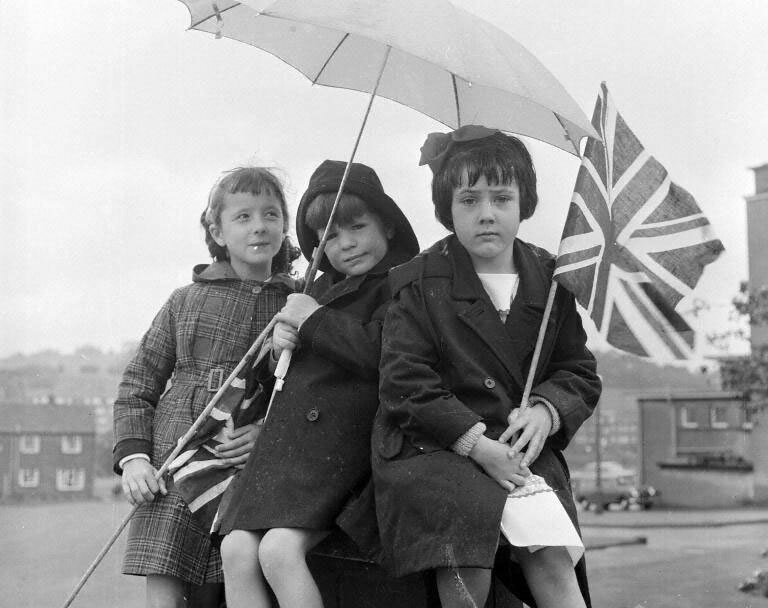 Linda Lawrence’s recollection of Newtongrange Children’s Gala, from the National Mining Museum Scotland’s Coal Stories, a project to develop a collection of oral histories relating to coal collections across Scotland. Local papers still remain useful for capturing the big day, such as this story from the Midlothian Advertiser. Senior Curator of Modern History Dorothy Kidd states “that a ‘tradition’ can be as short as repeating something once, or last for generations. That traditions are made, developed, adapted and altered and can also disappear”. Whether it be resurrecting a tradition as in Cellardyke or courting controversy by changing the rules by adding a King to the annual gala, tradition still very much matters. 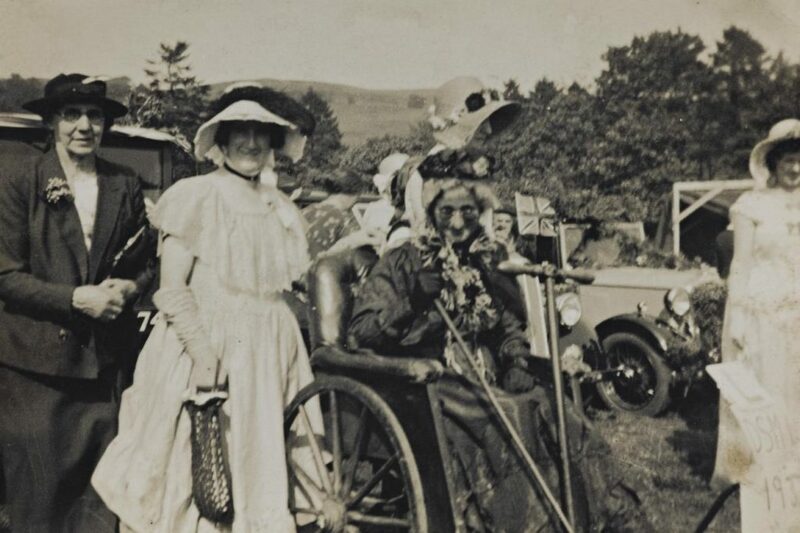 Digital copy of a black and white photograph of a fancy dress party, including Mary Davidson (second from left) and Thomsina Davidson (in wheelchair), at Moniaive Gala, Dumfriesshire in the 1920s. From the Scottish Life Archive, SLA.DIG.9.22. Want to find out more? You can download a list of further resources from SCRAN and a list of bibliographic references here. We in my home town of Irvine, Ayrshire have our Historic Marymass Parade and 12 days of Festival culminating on Saturday 25th August with the Marymass Day Parade, it is an all day event staring at 9.30am and finishing at 6pm ..This is a family day and attracts people from all over the World…We the Irvine Carters’ Society are in charge of the Marymass Parade . A first for Davidson’s Mains 86th Children’s Gala in Edinburgh: this year’s Gala, to be held on Saturday 16th June, will have a ‘Distinguished Gentleman’ crowning the King and Queen. 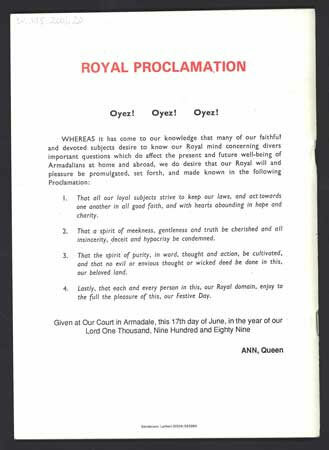 This is the first time that the role has been conferred on a man, rather than a ‘Gracious Lady’. Please note, Loanhead Children’s Day commenced in 1903, not 1923 as you have stated. Kilsyth Gala Day and Civic week? ?